I love the fall. From pumpkins and apples to brilliant foliage, it’s my favorite time of the year. It’s also my favorite season for clothes. The weather is just cool enough for fuzzy sweaters and boots, but warm enough to hold off the ski parkas. With the help of my amazingly talented photographer Emily O’Brien, I’ve put together my five “must have” looks for fall. These outfits work for just about everyone and are so comfortable and easy to wear. 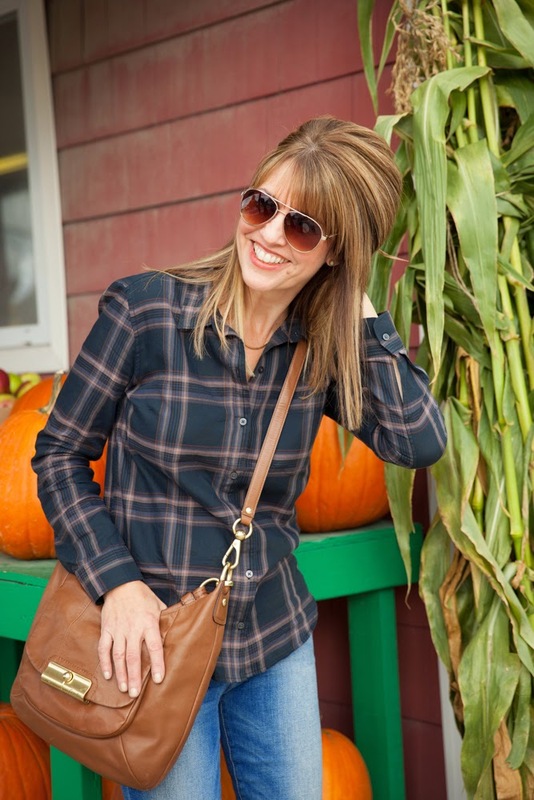 Plaid and oxfords: For those casual days apple picking or running errands, pair a plaid button down shirt with rolled-up jeans and oxfords. If there’s a chill in the air, top with a jacket or cardigan. This look is very on-trend for fall and oh so comfortable! Faux fur and stripes: I love to play with patterns and textures and this striped long sleeve tee looks fabulous topped with a faux fur vest. This outfit is perfect for so many occasions including out to lunch with the girls or even to the office on casual Fridays! The poncho: Yes the poncho is hot this fall, but did it ever go out of style? I love this piece because it’s timeless yet always looks chic and polished. 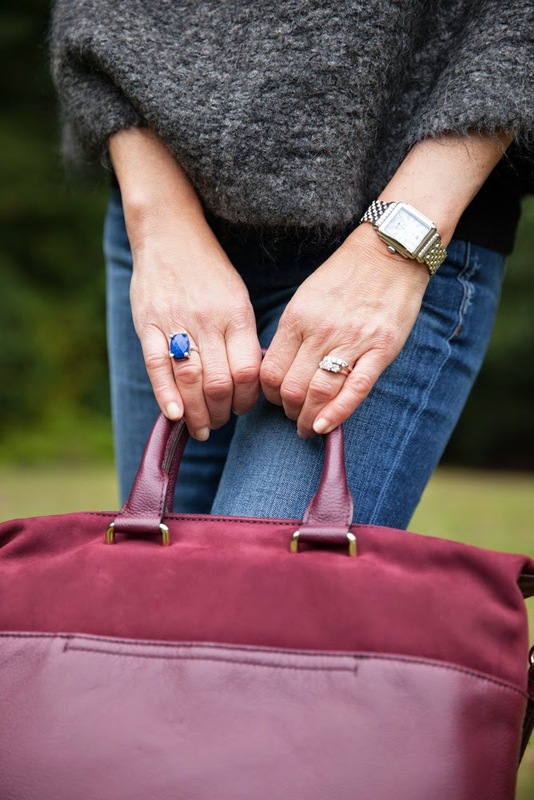 Shown here layered with a black sweater and paired with jeans, tall boots and a burgundy bag for a punch of color. You can wear this fabulous outfit anywhere while staying warm and cozy! 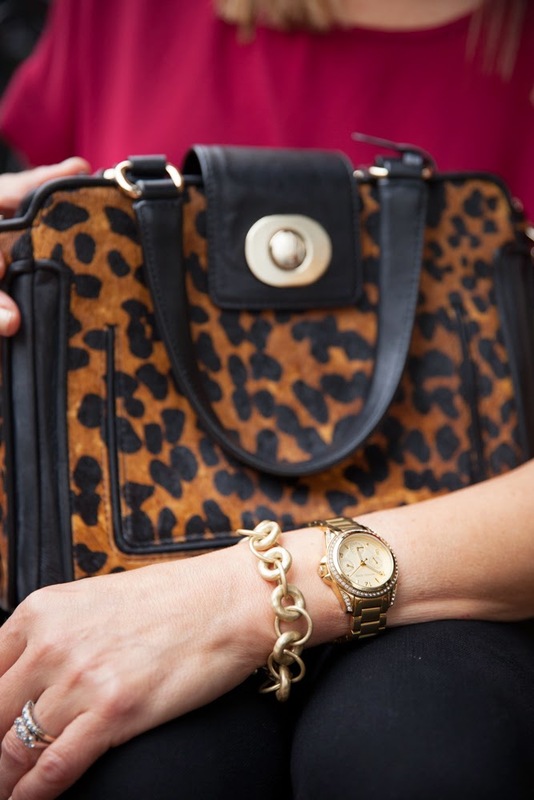 Red and animal print: There is something so rich and sophisticated about the look of deep red with animal print. 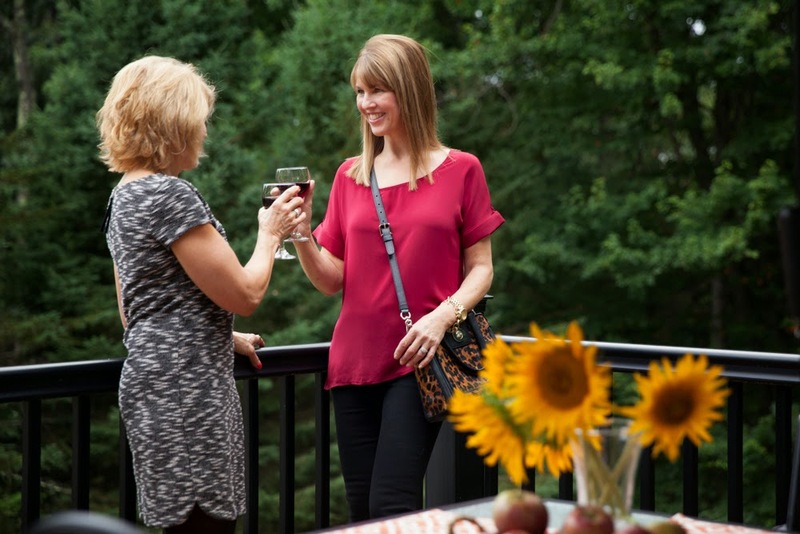 This outfit is perfect for going out for drinks with friends--or even sipping wine on the deck if the weather allows. Cheers! The blue dress: We all have a little black dress, but a little blue dress is just as versatile! This gorgeous inky blue color works for most skin tones and is so flattering! Choose a simple style that will easily layer with jackets and cardigans to dress up or down. And of course everyone needs a chic leather jacket to provide just a bit of “edge". Add a fun clutch and you're ready for a night on the town. 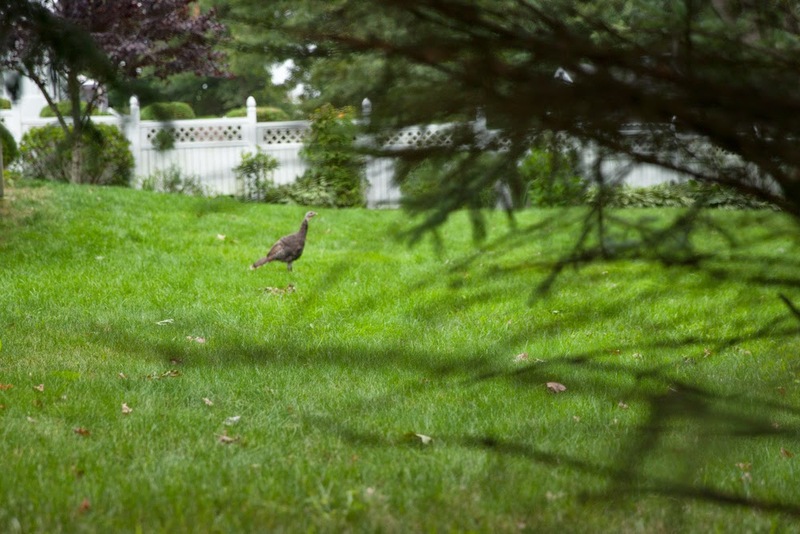 What's a fall photo shoot without a few wild turkeys showing up to steal the show? Emily O'Brien is a portrait photographer out of Boston and the Merrimack Valley. Thanks to Sandi Piasecki and Peters Farm! I have been dying to see your picks for Fall!! As expected I love them all!! I especially love your Michael Korr's jacket and black booties. Now I just need to grab a coupon and go shopping! I can't wait to see what you post next. Thanks Susan! Thanks Kathy! Fall clothes are the best! You should tell your followers about Raise--great way to save $. Thanks for sharing information.Your blog has always been a source of great tips.